While doing press for his upcoming drama Libertador (a.k.a. 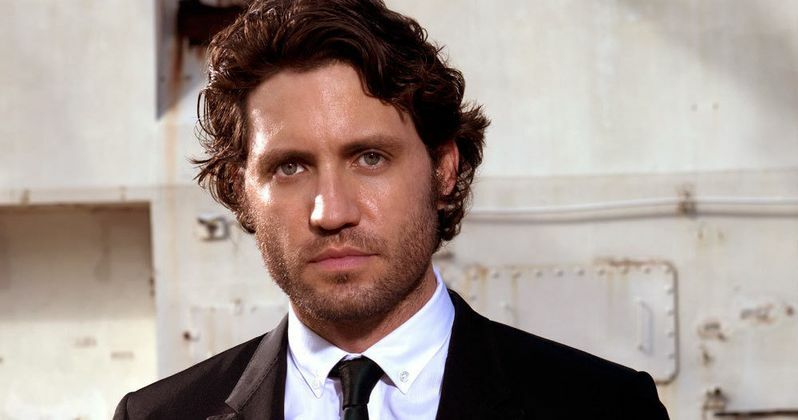 The Liberator), actor Édgar Ramírez revealed new details about two upcoming projects, the Point Break remake, where he takes over the Bodhi role originated by Patrick Swayze, and Hands of Stone, where he stars as boxing legend Roberto Durán alongside Robert De Niro as trainer Ray Arcel. The new version of Point Break is set in the world of extreme sports, and while he wouldn't divulge too many details about his version of Bodhi, Édgar Ramírez revealed how much he loves Kathryn Bigelow's original Point Break, while revealing that production starts in three weeks. "I'm very excited to be playing this character. I will start in three weeks, principal photography. It's been a teenage fantasy of mine to play Bodhi. It's one of my favorite movies and I'm a huge fan. I remember when I first met Kathryn Bigelow, the first thing I said to her when we were discussing Zero Dark Thirty, was how much I loved that movie, and what a huge influence that movie had on my generation and on me. I couldn't be happier, to be a part of this remake. Actually, the only remake I wanted to be a part of was precisely Point Break. It's more than just an opportunity to me, it's a dream come true, to be a part of this. It is a different story. There's no point in remaking the first movie. What we are trying to keep is its rebellious, subversive, anti-system spirit. That is definitely the essence of the first movie that we want to keep alive on this one, and it's definitely a movie on a different scale. It's a global movie, with actors from all over the world. Of course, I'm playing Bodhi. Édgar Ramírez is playing Bodhi, and that can tell you already that this movie is trying to reimagine the spirit of the first one. What can I tell you about Bodhi? I can't tell you much now, but I'm very excited. I'm a huge fan, and I definitely want to protect the legacy of the first movie, and I think that many people are in for a big surprise." While Patrick Swayze' shoes may be big ones to fill for Édgar Ramírez as Bodhi, he will also get into the ring as iconic boxing legend Roberto Durán in the biopic Hands of Stone, which explores the fighter's relationship with trainer Ray Arcell, played by Robert De Niro. "Imagine stepping into the shoes of Roberto Durán, one of the most legendary boxers in the history of the sport, and definitely the most legendary Latin American boxer, and then having Raging Bull in my corner. I mean, imagine that? Just having Robert De Niro to play the trainer in the movie, that was fantastic. There are no words to describe the level of privilege to be in the same movie with him, to be on the same set as him, and to be the recipient of the generosity this man has, as an actor and as a person." Stay tuned for our full interview with Édgar Ramírez as we get closer to The Liberator's theatrical release on August 22.